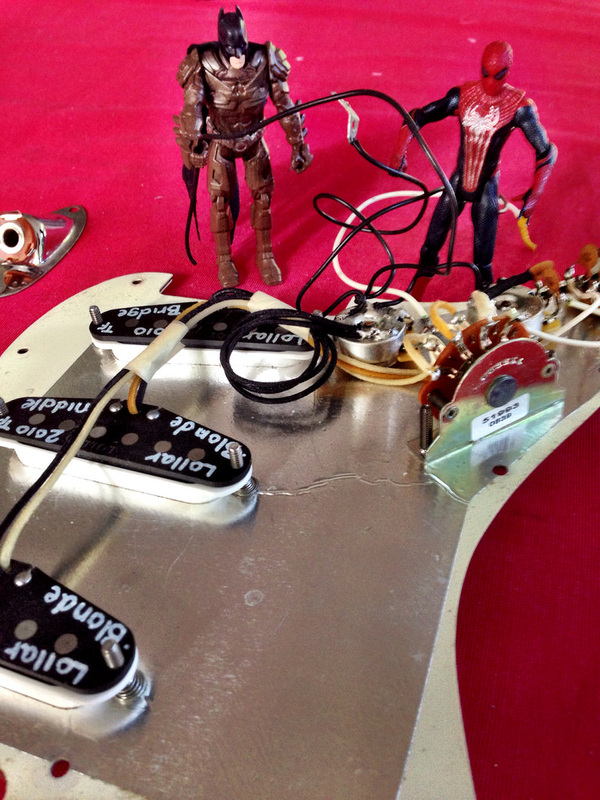 Modifying My Strat — 42! Basically, I think someone slammed another guitar into my volume knob at a gig or something, and the knob got jammed tight. I actually stripped the knurls on the inside of the volume knob trying to turn it, and the knob just fell off. While looking for replacement pots online, I came across the Emerson 'drop in' kit for quickly converting your Strat to have a Blender pot instead of a second tone pot. I thought "Why Not?" and spent the AUD$90 odd dollars to grab one off eBay. My Strat is just a USA Standard one, with Lollar "Dirty Blonde" pickups that I installed a couple of years ago. It is also wired in the "Eric Johnson" style, with no tone control on the middle pickup. For those who don't know - the Blender pot essentially allows you to gradually 'blend' in either the neck or the bridge pickup in with the other pickups. So, YES, you CAN have all three pickups at once if you like, or just the bridge AND neck if you wanted to. Basically, the second tone pot is the 'blend' pot. When you have the bridge or bridge+middle pickup selected, it controls how much of the neck pickup is added to the selection. Conversely, when you have the neck or neck+middle pickup selected, it controls how much bridge pickup is added in. 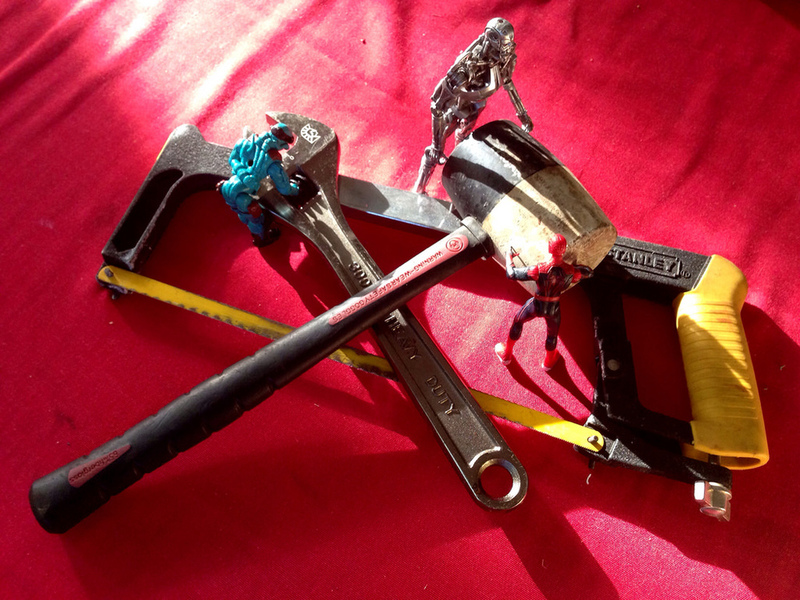 Seeing as I am a software guy, not hardware, I thought I would get some hired help to install this kit. This kit lives up to it's namesake. It is quite literally a 'drop in' replacement for the original pots. We only needed to desolder the 3 pickup leads, the input jack leads, and the two ground wires attached to the pickup cavity and trem claw. Once the new kit was in, it was a simple task to resolder those on again. 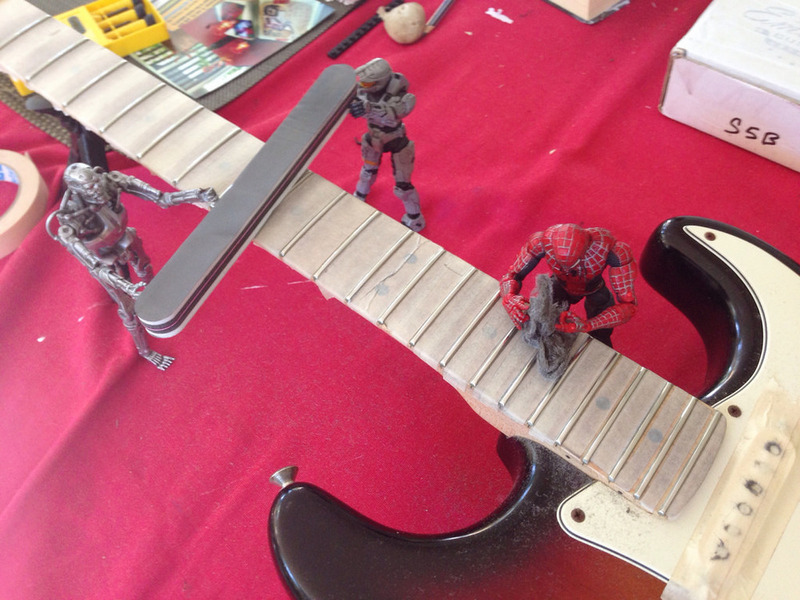 At times it was a bit stressful handling hot soldering irons around the guitar finish, but we managed to do it. 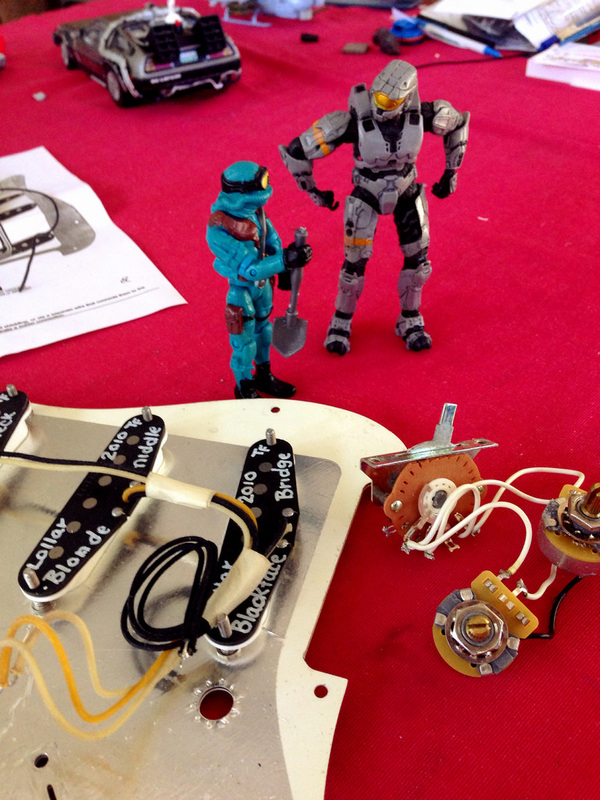 I DID manage to forget soldering on the ground lead to the trem claw, but that was easily resolved. Then it was time to put everything back together again. Remember the stripped Volume knob issue? 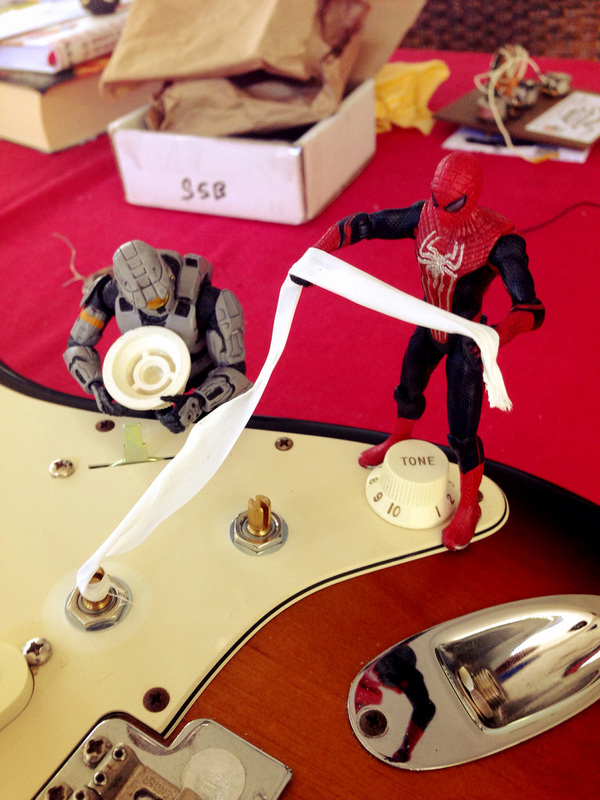 I got Spidey to wrap some plumbers tape around the Volume knob shaft so that the stripped knob could grab on tightly. I wrote a full review of the kit over at ToneCrowd.com.